At DS Dental, we have the expertise and experience to provide patients with advanced White Fillings solutions that not only look superb but also function well. Our solutions are customised to fit individual requirements and should last for years. Patients come to us from all parts of London and beyond for help with preventing tooth decay and solving their cosmetic dentistry problems. Come and see us for a discussion and an overall view of the treatment. Why do you need White Fillings? Though most of us work hard to maintain a sound dental hygiene and minimise consumption of sugary foods and drinks, issues like decayed or a fractured tooth do crop up from time to time. White Fillings are the best solution that modern dentistry can offer to resolve those problems. What are White Fillings made up of? These products are actually a combination of resin and nano-particles of glass. These are also referred to as composite resins. What aftercare do composite fillings require? After treatment there can be numbness at the treatment site. Avoid chewing foods on the affected side of the mouth. Do not allow your tongue to roam around the treated area. Continue daily brushing and flossing to prevent bacterial accumulation on the filling. What different types of White Fillings are available? A white composite filling not only looks natural but also perfectly bonds to your remaining teeth. 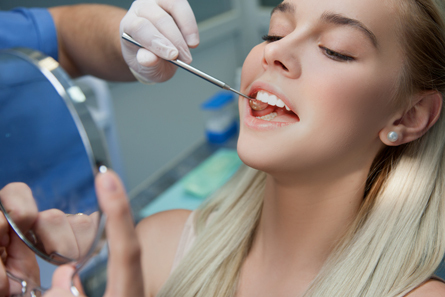 Composite filling treatment at our clinic requires only a single visit. We also offer porcelain or composite Inlays or Onlays to patients suffering from larger oral cavities. These are indirect white fillings and the treatment requires you to visit us a couple of times to allow our dental technician to construct them in the lab according to specification. The procedure varies depending on the reason behind it. 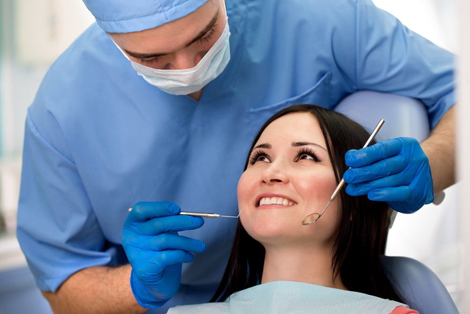 In some cases, there is no need to undergo drilling to prepare a tooth. In such cases, there is also no need to administer local anaesthesia. Our dental expert will select the matching shade of composite for your tooth. A gel containing mild acid is used for etching. Next a liquid coating is applied to help the tooth-coloured resin cement with your tooth. A special light is used to sculpt, shape and harden the composite resin. Lastly, polishing will provide the perfect finish. The overall procedure can take as little as 30 minutes, depending on the condition being treated. Get in touch with our helpdesk now for further details. What are the risk factors to white fillings? White Fillings treatment is overall safe and has no risk factor. In cases, patients who undergo deep white filling report tooth sensivity. The problem settles down on its own within a few days. But, we suggest our patients to visit us in case of experiencing acute pain and inconvenience. How much White Fillings cost? At DS, we charge the nominal price on all our treatments including White Fillings. Our aim is to provide quality solutions based on latest technology in dentistry at a cost that is easily affordable for everyone. Moreover, we have easy payment plans for you. With improved technology, white fillings are made from different materials and last as longer as silver amalgams. Success rate of treatment using these new materials is also impressively high.